At least 75% of users all over the world use their mobile devices for web searching. Design of websites for mobile device is not something secondary anymore – it requires more attention than we used to think. Understanding the extreme importance of mobile web design for every user, let’s figure out how to make it the best way? Why is it more difficult to develop the mobile design? The problem is not only in limited parameters and streaming capabilities of mobile devices in comparison to computers. The development of interface and functionality depends in large measure on the structure and the content of the desktop (full) website version. Not every idea can be implemented in mobile version comparing to the desktop one. It forces the developers to make compromises when designing the websites for mobile devices. The more traditional approach is called “Graceful Degradation”. Under this principle, the planning and development of the websites starts with their full version (desktop version) and then they get contracted and minimized for smaller devices (mobile). As result it becomes harder to distinguish supplementary elements in the compact designs. The second approach, more progressive one, is when the mobile version dictates its rules to the desktop one and is called Progressive Enhancement or “Mobile-first”. When starting designing process from the more complex, the creation of the “heart of the UX”, additional design elements and features will fit seamlessly. “Mobile-first” approach encourages to look at the development and design process from another side and inspires the development of the most important thing first and not try to do “everything” at once. The progressive approach is quite simple: start from the content. 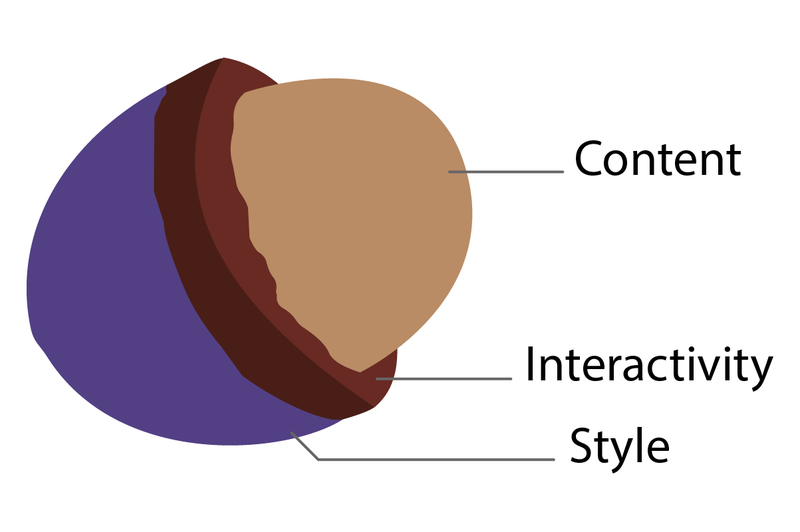 The visual style and interactivity then will be easier to develop. The mobile content can’t be placed on equal footing, side by side so it is focused into a content hierarchy. Ask yourself, and other users, what would be really important for them in mobile versions of the websites and try to start the design from mobile version.